Last weekend I got my hair cut and permed. Let’s pause for a silent, personal “hurrah!” for me, because it was long overdue! Several factors contributed to that. Factor 1: I had my hair done just before moving to Canada (that’s right, I’m in Canada, but we’ll get to that in a second) so in the craziness of settling in a new place, the last thing on my mind was hair. Factor 2: I’ve always had low-key hair. I’d simply focus on trying to get a stylish cut…and then depend on it for months on end. I used to happily brag about how I only cut my hair twice a year (I know, it sounds ridiculous to me now too). I never got into coloring (although there was that one brief “red” period freshman year of college), and stopped entirely when Steve, my hairstylist in NY, said to me once, in a mildly threatening manner, “don’t you ever, ever dare color that hair.” He was a fabulous black man expertly wielding a pair of shears, so I guess I was a little scared. The only time after that was during my internship with Redken a few years later when I caved to the promise of getting a free color treatment if I volunteered to be a model in a class for experts at the academy. Anyways, that was the extent of my relationship with treatments until last fall when I conquered bad-perm-fear and decided, in determination to revive my lifeless locks, I’d give it a go. Loved it. Did it once more before leaving Hong Kong as I knew I’d be parting with the deft and able hands of Ray, my stylist in Hong Kong. Long story short, I suppose it was due to my limited experience with treatments that I just didn’t expect for it to get unruly so quickly. Which brings us back to March in Canada. I left Hong Kong mid-December and I moved to Toronto on January 3rd. I waited until Mid-March to do my hair. At which point, I realized, I had no idea where to even go. I wanted a place that understood Asian hair, and more importantly, knew how to perm it. On the other extreme, I also needed a place that wouldn’t give me a “trendy” Asian pop-star cut. I typed the keywords “Hannah,” “Koreatown,” “Toronto,” and found Goa Beauty Salon. Through my “extensive” research on community forums, I learned that Hannah was supposedly the only one in the salon that spoke English and that you had to book her way in advance. But you know what: the reviews were solid, all referred specifically to Hannah by name, and one of the girls in one of the online articles had a cute hairstyle. Fast forward to last week. Hannah asks me a few questions about what I’m looking for, and very quickly just “gets” me. And I kid you not, I have never sat in a chair and seen my hair literally be transformed, in front of my eyes, inching closer to fabulousness with every snippy snip. I mean, I’ve had great cuts, but usually, the fabulousness is revealed after the blow-out. She put me in rollers for a digital perm and told me she was creating tighter curls than what I had before so they’d last a bit longer, but would still be medium-loose. In all honesty, I didn’t love it at the reveal. The blow-out hid and took all definition out of both the curls and cut, and I was like, THIS is supposed to last me for the next few months? I would need to return NEXT WEEK! But all was redeemed when I waited to wash it out, ran some curling product through it, scrunched it up with my fingers, and left it to air-dry. The curls were indeed tighter than I had ever had them, and my cut was shorter than I had realized in the salon – but you know what, it looked amazing. Verdict: While I’m not likely to go back for a blow-out, I’m certain I’ve found the perfect spot for everything else (at least until I’m gone in a few months), cut & perm included! Ask for Hannah. Yes, she’s talented, but a real sweetheart too. 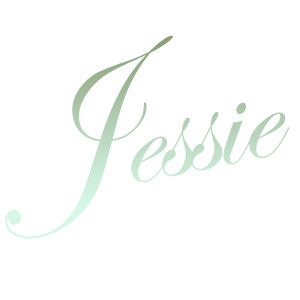 This entry was posted in Just Jessie and tagged Canada, Digital perm, Goa Beauty Salon, Hair, Hairstyle, Perm, Toronto. Bookmark the permalink. I’m just wondering how much your digital perm cost? Hi I found your blog through google search. I want to get my hair bleach blonde (I am Asian and have dark hair), I am trying to find a good salon in Korean Town, but most of them doesn’t have a website for prices. Do you which salon offer the best price and colouring ? this is so old, but im in the market for a perm in toronto. is this a regular perm, or a digital perm, which you are talking about? ?